Are you ready for a new piece of jewellery? Let’s admit, once in a while a little luxury is a must. Treat yourself to a new piece of jewellery for your exclusive collection. 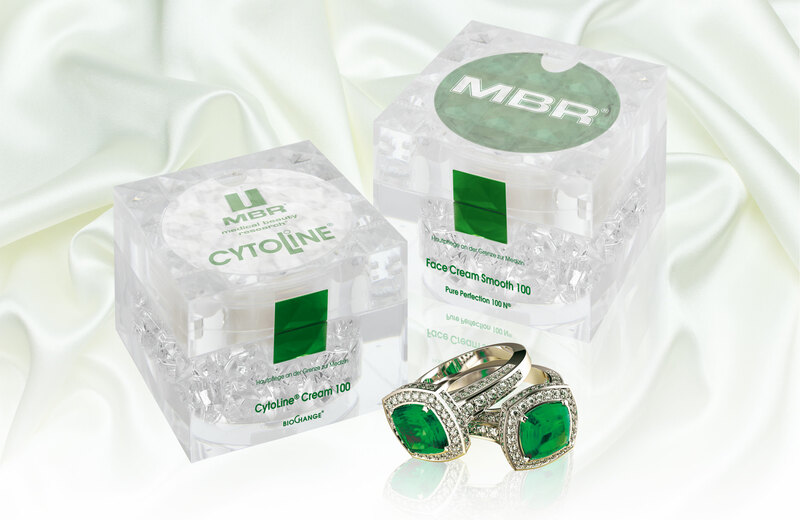 For those who associate their personal luxury with cosmetics, MBR has now launched a limited edition of their classic CytoLine® and Pure Perfection 100 N® lines for retail trade. Act now and secure a premium luxury jar. A highly effective concentrated nourishing cream which actively increases skin performance in regenerative cell proliferation and moisture regulation. An extraordinarily efficient anti-ageing care product for the highest of skin care standards. The silky-smooth cream noticeably actives all epidermal and dermal cell functions without irritating sensitive skin. It leaves behind a feeling of pure well-being.